I have the honor of being invited by Discovery Education to attend their second “Beyond the Textbook” forum to be held this Wednesday and Thursday at their headquarters in Silver Spring, Maryland. The event is spearheaded by Steve Dembo and, in exchange for travel expenses, he gets to pick my brain about digital textbooks, resources, and curriculum. There will be 18 other outstanding educators as well, including my edu-heroes Christopher Danielson, Michael Doyle, Karl Fisch, and Tom Woodward. In preparation for the event, I’m updating/remixing an old blog post I wrote called “My Vision for a Physics iBook” …. I keep thinking about what a physics iBook would look like. Not a book for consumption, as with a traditional text, but rather a book to enable exploration. So what would a student see when they first opened such a book? No content. 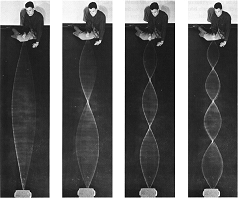 No classical references like Feynman’s Lectures on Physics. No integration with Khan Academy’s video library. Nothing. Students should be learning to do science, not simply learning about science. They should be making observations, posing questions, conducting experiments, finding patterns, analyzing data, and sharing their conclusions. In this sense, the iBook would function more like an electronic lab notebook. 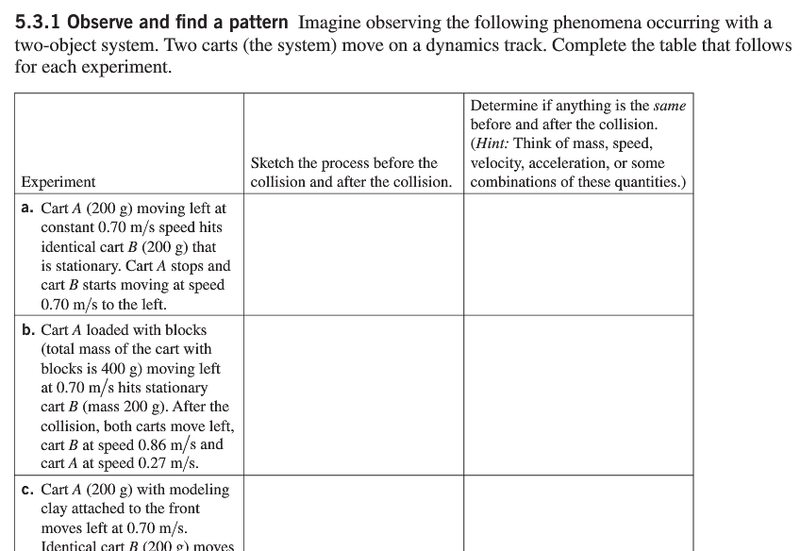 As with curricula like Modeling Instruction and ISLE, students would create the physics content from their own investigations and evidence, rather than deferring to authority. Actually, the iBook wouldn’t be completely blank. While it would initially be empty of content, it would be chock-full of tools to help students collect and analyze experimental data. Software like Tracker for video analysis, VPython and GlowScript for computation and visualization, LoggerPro for graphing and electronic data collection, along with PhET simulations and Direct Measurement Physics Videos for conducting virtual experiments. FIGURE P-2  Electronic temperature sensors reveal that if equal amounts of hot and cold water mix the final temperature is the average of the initial temperatures. Eugenia Etkina‘s upcoming College Physics text gets a step closer to my iBook vision. The text incorporates her work with video experiments in her ISLE and Physics Union Mathematics curriculula. 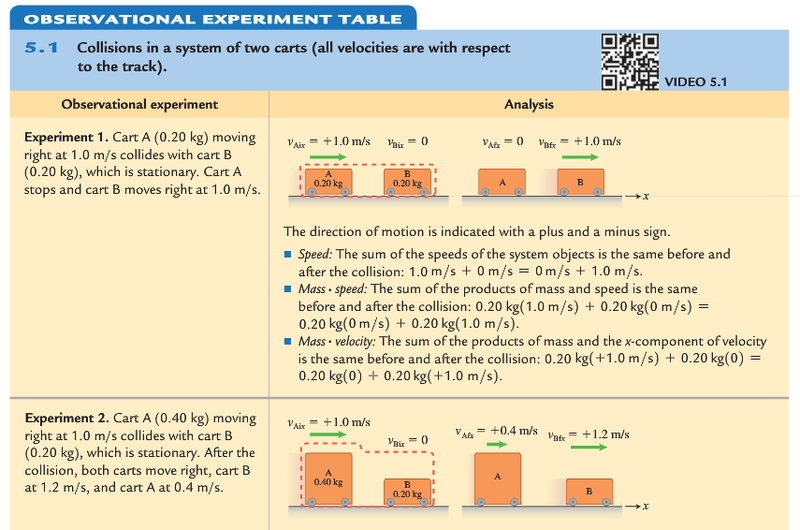 In the text, there are QR codes which link to videos of the experiments to be analyzed. For example, here’s a video of a momentum experiment, followed by the corresponding section of the text. Science is never done in isolation, however, so the iBook would come equipped with tools for sharing data, content, photos, videos, and resources among students and between teacher-student. For me, going beyond the textbook means giving students a toolbox rather than an instruction manual. What’s your vision for the future of textbooks? You can follow along with us at the Beyond the Textbook forum this week by searching for the Twitter hashtag #BeyondTextbooks. 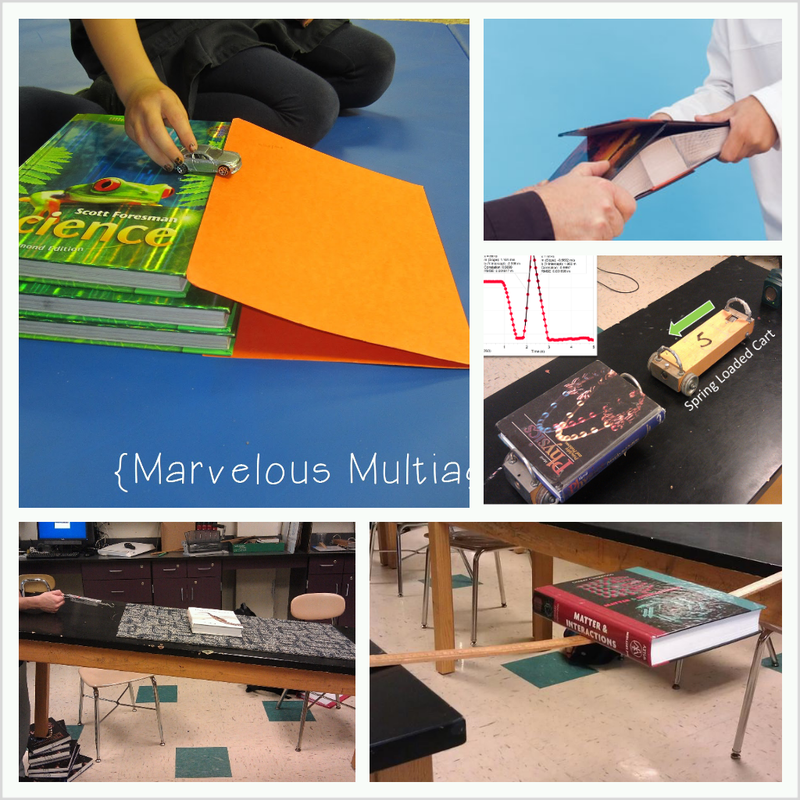 Bonus: 5 reasons why iPads won’t replace textbooks in science class. UPDATE 1/22/2012: Now with links and Apple’s iBook video! Warning: This post is a brain dump of all thoughts and conversations I’ve been having about next generation textbooks since Apple’s iBook textbook announcement. Sorry this isn’t polished. I keep thinking about what a physics iBook would look like. Not a book for consumption (like a traditional text) but rather a book to enable exploration. More like a text-journal-workbook-lab notebook combo, where students would create content from investigations (also pooling created content/data from classmates, etc) and also have reference text for afterwards in the same vein as the Minds-On-Physics text, the first edition of M&I, and the Physics by Inquiry texts. Stuck on a problem? An intelligent tutor would be able to re-direct you back to a video or animation or even your own data from an exploration where you initially encountered the concept. Leveled assessments — get question right, next one is harder, etc. — Better to gauge how well student has mastered a standard. When students answer assessment probes or clicker-questions, can automatically sort kids into heterogeneous or homogeneous groups for discussion. Ability for students to take video/audio of class meetings and file/tag them (along with other materials) by topic/unit/date/etc. It’d be like an electronic version of the PSSC/Modeling/ISLE /PUM curricula on steroids. And I see this more as the teacher having these tools to deploy to the students, rather than the students following a linear path through text and activities. The class actually builds the text together, and each year the text is different. The capabilities and content for this iBook already exist. 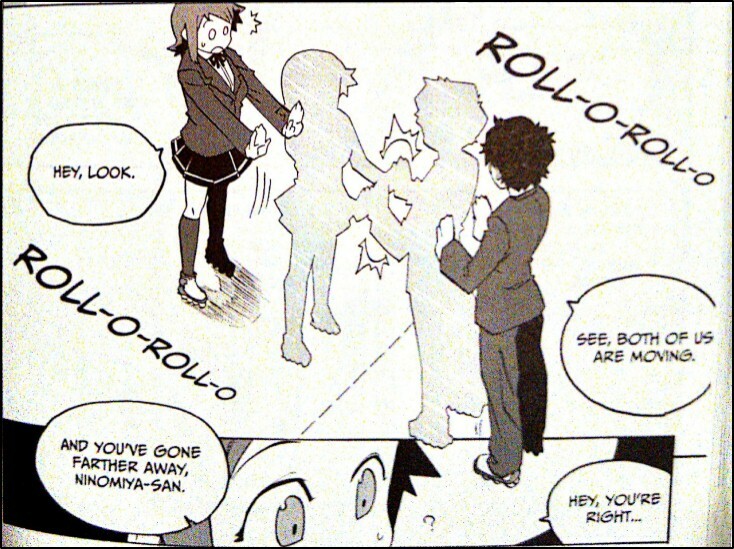 No one has put them together in one package yet. I think it could even be web/cloud-based and platform independent if done with the proper tools. What am I missing? What’s your vision?